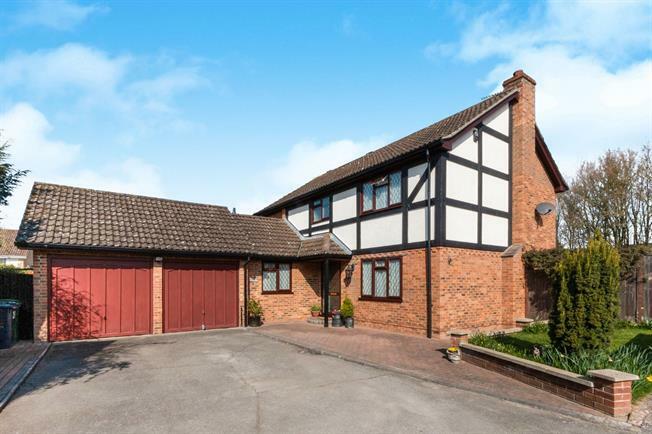 4 Bedroom Detached House For Sale in Basingstoke for Guide Price £600,000. This beautiful and superbly maintained home is in fantastic condition throughout. Downstairs there is a very large living room, a modern, well fitted kitchen, a separate dining room, a study, a utility room with access outside and a downstairs WC. Upstairs there are four large bedrooms and a family bathroom. The master bedroom also features a great size en-suite. Outside the home there is a beautiful, large garden, off street parking for up to four cars and a large double garage. Viewings are highly recommended.